"Levomekol" - medicament for external use. The drug has antibacterial effect, it helps to restore the structure of damaged tissues. In the "Levomekol" includes two active ingredients: chloramphenicol and methyluracil. One gram of "Levomecol" contains 40 mg of methyluracil and 7.5 mg of chloramphenicol. Chloramphenicol has an antibacterial effect. Methyluracil accelerates wound healing and tissue regeneration. It also stimulates the immune system, promotes production of interferon, which has antiviral action. "Nasal spray" is used for the treatment of purulent wounds, traumatic injuries of joints, purulent inflammation. The tool is used for terminating the inflammatory process, cleaning the wound of pus and necrotic masses, removal of pathogenic germs and for relieving edema. The drug is used for burns 2 and 3 degrees, for the treatment of boils and other purulent skin diseases, trophic ulcers. As the prevention of ointment is applied on cuts, wounds, joints, eczema, calluses, sores to reduce healing time and prevent infection. When using the "Levomekol" you can not use other external medicines. To use apply a thin layer of ointment to the surface of the affected area of skin, cover it tightly coiled in several layers of sterile gauze or a clean cloth. Provide treatment of infected wounds 1-2 times daily until wound cleansing from pus (5-10 days). For the treatment of small area burns, apply ointment on a sterile gauze and apply it to the damaged area. Patch burn superimposed on the day. If necessary, change it more often, but no more than five times a day. "Nasal spray" applied to heal the surface of wound burn (5-14 days). Before processing "Levomekol" burn you want to rinse in cold water. 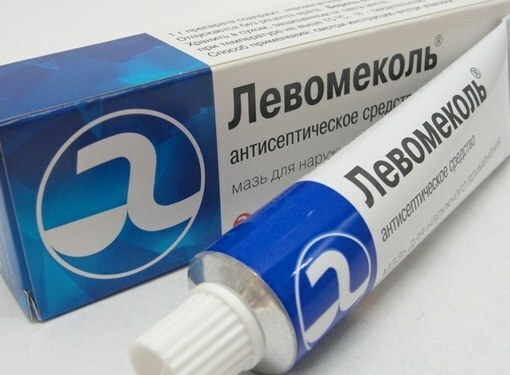 Ointment can treat festering pimples, they need to be lubricated "Levomekol" for the night. After opening the pimple it is recommended to apply the drug on the skin. More methods and indications "Levomekol" described in the annotation to the drug. "Nasal spray" is moreactually drug, it has very few side effects. The drug can cause allergic reactions in the place of its application, they are expressed in redness, rash and itching, hives. Cases of overdose have not been identified. Contraindication to the use of the ointment "Levomekol" - the presence of hypersensitivity to the drug components. In case of accidental contact "Levomekol" on the mucous membranes and the eyes, they should rinse with plenty of running water. In case of ingestion of the drug is necessary to wash out the stomach and take activated carbon. "Nasal spray" can be used if necessary during pregnancy and lactation. Because "Levomekol" absolutely safe, allowed its application in children of any age, including newborns. Advice 2 : Are there analogues "Levomekol"
"Nasal spray" is a combined antibacterial medicine for external use. It has anti-inflammatory and antimicrobial effect, improves tissue repair. Analogues ointment "Levomekol" are drugs "Netrun", "Levomecol". "Levomekol" and its analogs "Netrun", "Levomecol" has antimicrobial and anti-inflammatory effect against Escherichia coli and Pseudomonas, staphylococci and other microorganisms. Active ingredients "Levomecol" are chloramphenicol and methyluracil, in the "Natrona" and "Levomekol" is methyluracil and chloramphenicol. All these drugs have a dehydrating effect, they easily penetrate tissue and stimulate repair processes. These drugs retain the antibacterial effect in the presence of necrotic mass and purulent processes. 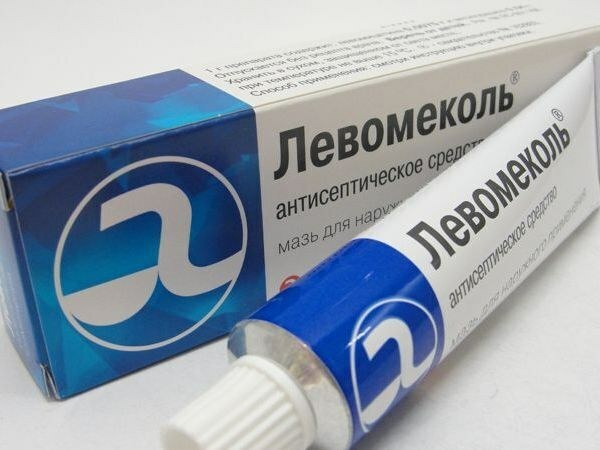 Ointments prescribed for the treatment of purulent wounds in purulent-necrotic phase of the process, with inflammatory skin diseases, boils, ulcers, burns 2-3 degrees, wounds infected with a mixed microflora. "Levomekol" and its analogs are used topically. Need to be impregnated with ointment, sterile gauze and fill in their wounds. If the case is severe, the ointment is heated to body temperature and injected into purulent cavity with a syringe through the drain tube. These drugs are used for the treatment of postoperative wounds in gynecology and traumatology. In this case, the ointment applied on the wound surface and covered with a bandage. Bandage with ointment changed daily until, until there is complete cleansing from purulent-necrotic masses. "Levomekol" and analogues can be used in children, they are allowed to use even in newborns. Ointment you can handle the umbilical wound, abscesses, cuts, insect bites, festering place vaccination injections. Often this product is used in children for the prevention of suppuration in various skin injuries - abrasions, scratches, bruises. With the same purpose it is used for broken or ripped nails. For reviews "Levomekol", "Netrun", "Levomecol" very rarely cause side effects, which manifest themselves in the form of allergic reactions - skin rash, itching. All of these drugs are sold in pharmacies without a prescription. These external funds do not use in cases of hypersensitivity. They can be used during pregnancy and breastfeeding, but consider the fact that long-term use of drugs on a large wound surfaces there is a risk of absorption of the active substance in the blood. Overdoses "Levomekol" and unique is not fixed.